Does your ball fit you correctly? It might not be something you’ve thought of before, but getting the proper bowling ball fit is an important ingredient to your success. You want your thumbhole to feel loose, but it needs to be tight enough that you can release the ball without gripping it. You shouldn’t need more than a piece of tape to accomplish this. It’s important that your fingers go into the holes so that you can see the joints cleanly and that your thumb inserts completely. One thing is certain: if you experience bleeding cuts or painful discomfort it’s fair to say that your current fit isn’t working for you. 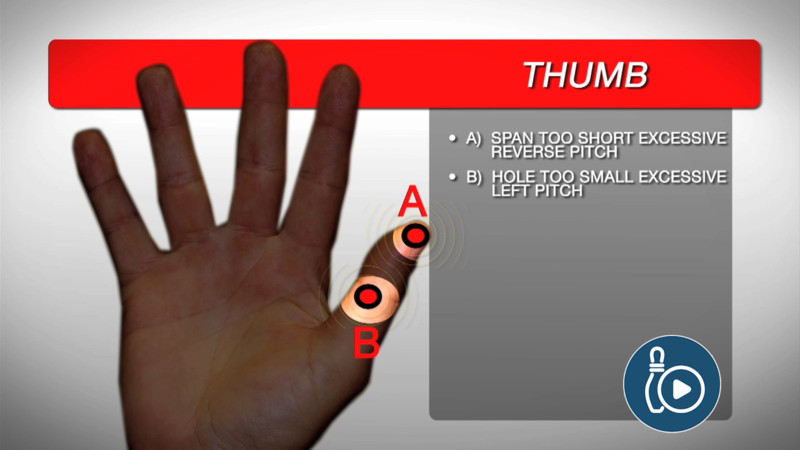 Depending on the makeup of your hand, your fit can be very similar to the bowler next to you, or drastically different. Needless to say, all fits are not created equal. Talking with your friends about what works for them might not help you. Finding the right fit is tricky. To help, Rod Ross, Head Coach for Team USA and The International Training and Research Center (ITRC), created a fit/release indicator that will help you identify problems with your fit and suggest ways to fix it. Do you remember the 80’s song, “One Thing Leads to Another” by The Fix? 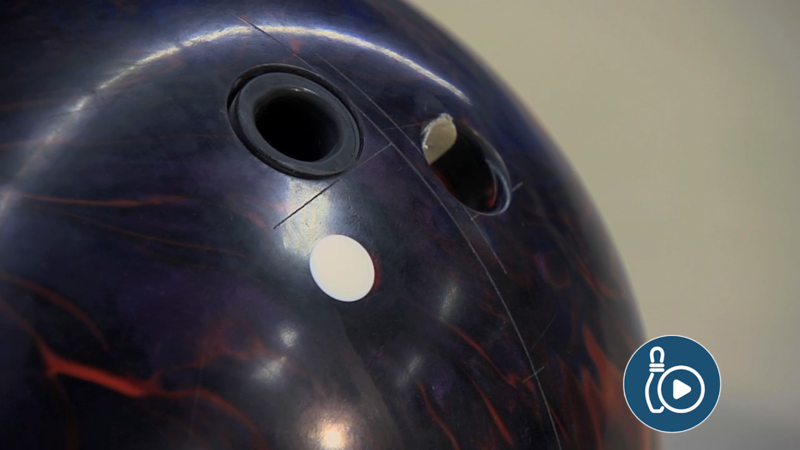 Almost all of the USBC coaches have seen bowlers try to correct problems that ultimately lead back to an incorrect fit. For example, let’s say you have a problem pulling your shots. You go and practice different drills to straighten your arm swing and you still can’t find repeatability. It could very well be a fit issue and it’s possible that you are creating more bad habits because your equipment is incorrectly set up. One thing leads to another. While many bowlers don’t associate a poor fit with a poor game, it is incredibly common. Before you make adjustments, take some time to review these tips and watch this helpful video to make sure your fit isn’t ruining your game. Don’t know if I have a right fit or not. My thumb pops but does not go all of the way in the hole. Can’t seem to get it to hook although I have a slow to medium rotation speed. Sorry to hear about your fit woes. Your thumb should definitely go all the way into the thumbhole. When your thumbhole is first drilled, you should we able to release the ball when it is the most snug it can be releasing it. Then you’ll want to have it drilled out a touch to be able to add one piece of tape. The goal is to be able to put the tape in when you need it and take it out when you don’t. Be sure to check out the video in the article, it’s awesome! You’ll be able to identify what the problem is with your fit by what’s happening your fingers and thumb after bowling a bunch of games. Please check out https://bowl.com/BowlingTechnologyStudy/ for more information on side weight. Please send the details and pictures to nationalbowlingacademy@program-director.net and we will send the information to our experts to review. I have devloped calluses on my right thumb, on my knuckle and both sides of my thumb. Is that caused from a bad drill of the thumb hole? I have to put thumb tape on my thumb and the calluses are painful. They have not gone away even though I do sand them down gently and put hand cream on them when I am not bowling. I have increased the thumb hole size myself which has helped some. Should I bring my bowling balls down to my pro shop and have them checked for proper fit? I’m sorry to hear that you are dealing with this fit issue. You should never have blood, calluses or pain of any kind while bowling so yes, get to your pro shop and get your fit checked out. You can identify the problem you are having in the video below and express your concerns with your pro shop.